IMG_0132, originally uploaded by Pink Lady on the Loose!. 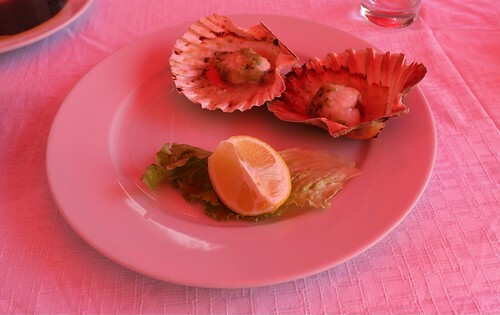 I tried scallops for the first time in Rovinj: they were pretty good, eventhough they looked nothing like the ones they cook in Hell's Kitchen. I am a big Gordon Ramsay fan and I hope to someday taste them in one of his restaurants.